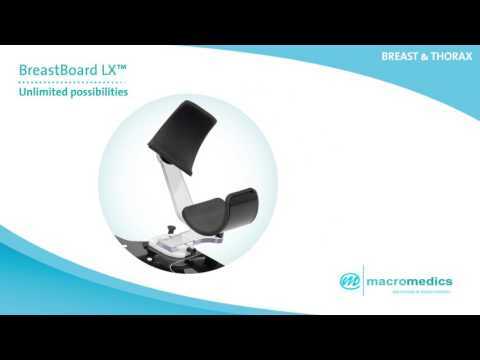 The BreastBoard LX™ is the premiere, stand-alone breastboard. Utilizing a coreless, single-layer carbon fiber treatment zone, the BreastBoard LX provides an IGRT treatment zone with minimal attenuation and maximal homogeneity and stability. The stable, easy to adjust arm supports on the BreastBoard LX address many of the adjustment challenges with other breast board arm supports, providing quick, customizable set-ups for patient comfort and clearance. The BreastBoard LX further addresses common patient comfort issues by incorporating a contoured lumbar area and an optional bottomstop adapter for shorter patients.